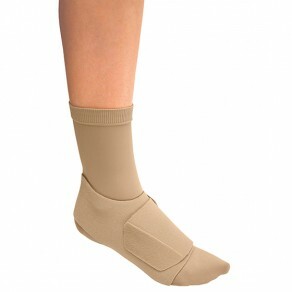 •	Used in combination with the Circaid compression anklet for added compression. •	Can be trimmed to fit almost every foot shape. •	Lightweight and breathable material fits easily in a pair of shoes. •	Available in standard and large options.